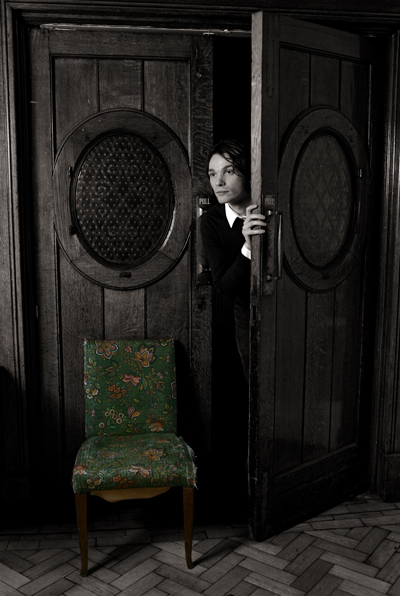 When Field Music made an announcement in 2007 that they were taking a break from being a band, but still existing as a group, many saw it as the end of things. 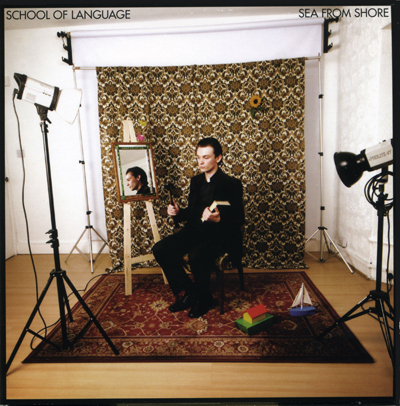 Yet with Sea From Shore, School of Language (né David Brewis) has made good on that statement, producing the first tangible product of this post-band phase — a labor of love featuring his musical talents almost exclusively. After pinning a Thrill Jockey pin to his coat for his North American label/distributor, David agreed to a special treat by playing the band's first stateside performance at the Thrill Jockey 15th Anniversary show. Several months later, with an album on the streets and his first official tour hitting our town, we caught Mr. Brewis via an unusually famous cellphone to chat with him about his time in Chicago, the inspiration for his songs, and his love for the Zep. Gapers Block: So Sea From Shore is out — how do you feel about the final result? David Brewis: I feel good about the album — I feel as though the songs I've written are as good or better than songs I've written in the past, and that's always the main end. GB: "Rockist" has done well — it was a bit ambitious to have a four part song section as the leadoff to your first album. DB: Yeah…I don't think there's enough ambition in records. It's just what was keeping me occupied at the time, and one idea that tangents into different things…and this branched into four new songs. It didn't feel like a particularly ambitious thing. I'm always trying to do something new and interesting, so I hope it's that kind of ambition. GB: Well I was thinking more like ones you'd find on a Rush album. DB: *laughs* Oh, and lyrics about demons and goblins and things — yeah, I try to avoid things like that. GB: The beginning of the track starts with a series of vowel sounds that are returned to throughout the album — where did that idea come from? DB: Like with so many things, I hear something and I think "oh, that's a good idea." But I tend to mishear what an idea was, and then when I try to rip it off, it comes off as something bloody different again. There is a Smog song — I think off Knock Knock — which has a final note with these vocal sounds in amongst that. (yep: listen closely to the ending of "Let's Move To The Country" and compare) The little bit of the song I had written at that point had a restricted harmony — there's not many notes that can work in any point in the song, so it really lent itself to going at one note all the way through. I like to use different sounds, things that sound odd — I think the voice is a really good instrument. You can neglect how important the sound of the human voice is — it's like a first point of connection, bands can be singing, but they're not doing it in such a blasé way — and that's a shame. GB: So we see some influence from Smog here: are there any other bands that you look up to, or consider contemporaries? DB: Yeah, I was ripping off Neil Young on a couple of those songs… and there are a few bits on there where I said, "I want this to sound just like Led Zeppelin". In terms of more contemporary things, there's not that much I get that kind of inspiration from. Most of the new music in the U.K. I find pretty appalling and very narrow-minded. I still get new songs from the first couple Roxy Music albums and the Beatles — there's so many ideas in there that could be taken further. I'm basically in the process of trying to make an entire career out of making copies of "Happiness is a Warm Gun". And I think that's going to keep it going for a really long time. GB: Well you found yourself amongst a pretty diverse group on Thrill Jockey — have you had a chance to explore any of their other artists? DB: Yeah, the line-up is incredible — one of the few things I've heard recently where it's made me want to make better records is the new Fiery Furnaces record. I feel like I'm in exalted company. GB: So have you seen any concerts in town since you've been here? DB: Absolutely not — the first two nights I was here, I was so completely out of it time-wise. Even now, I'm only about halfway across the Atlantic in terms of time zone. GB: Well are you still having a good time with it, or are things getting stressful? DB: Actually not stressful at all — I'm certainly having fun playing, and I quite enjoy driving. Although all we've seen much of is the road and snow. In the past sometimes we've tried to involve more touristy things, but it's so tiring to get up early for them — and then you don't enjoy the shows quite so much. GB: We'll hope you're rested up for this show and have a good one. Oh, and tell Doug thanks for letting us use his phone. DB: Thanks! *laughs * And I'll be sure to tell him. School of Language plays this Friday, 3/14 at the Empty Bottle at 10pm — opening acts include Jim Becker & Scott Tuma, with Joe Adamik & Emmett Kelly and About A Girl. Dan Morgridge often artistically reworks sections of the songs of Scatman John, but has had far less commerical success.